Before jumping into this week's issues (an all-Marvel edition!) I wanted to wish my fellow nerds good luck this weekend for those attempting to secure badges for San Diego Comic Con. While not as scary as general registration, this Saturday's visit to the virtual waiting room is for returning attendees only. Make sure you have all of your groups information and may the odds be ever in your favor! The Unbeatable Squirrel Girl #18 - If you are looking for a good spot to jump on this series I highly recommend doing so with this issue. Squirrel Girl, after enjoying the new functionality of her new suit, decides to help out a couple of her superhero friends. She invites them over to meet Melissa Morbeck, the woman who recently revamped her own suit and added the power of flight. Apparently Ms. Morbeck isn't quite the good guy she claimed to be and we are now setting up for a battle of animals. 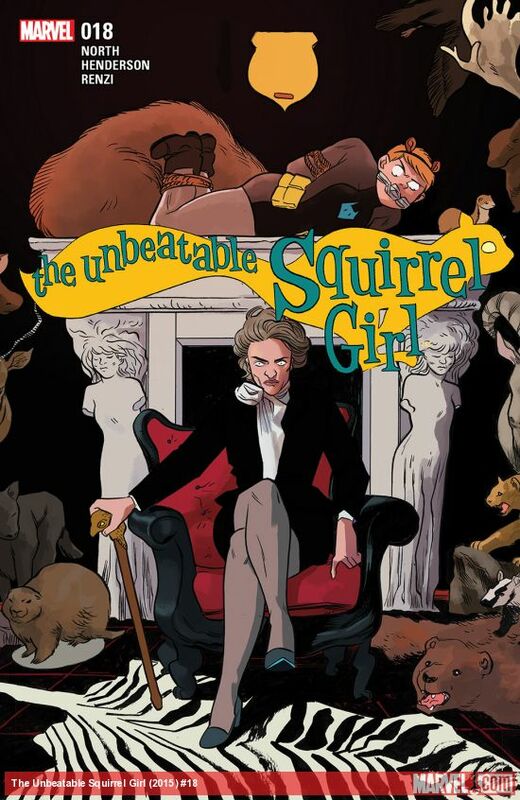 Squirrel Girl and her, well, squirrels versus Ms. Mobeck and her microchipped beasts! Ryan North does a great job interjecting humor into this series that benefits from not taking itself too seriously. It is a joy to read and one that would make a great gateway comic and bring new fans over to this medium. I still owe my buddy Jeff for encouraging me to hop on this bandwagon. Old Man Logan #19 - Jeff Lemire's run on this series continues to surprise and this issue was thrilling from start to finish. 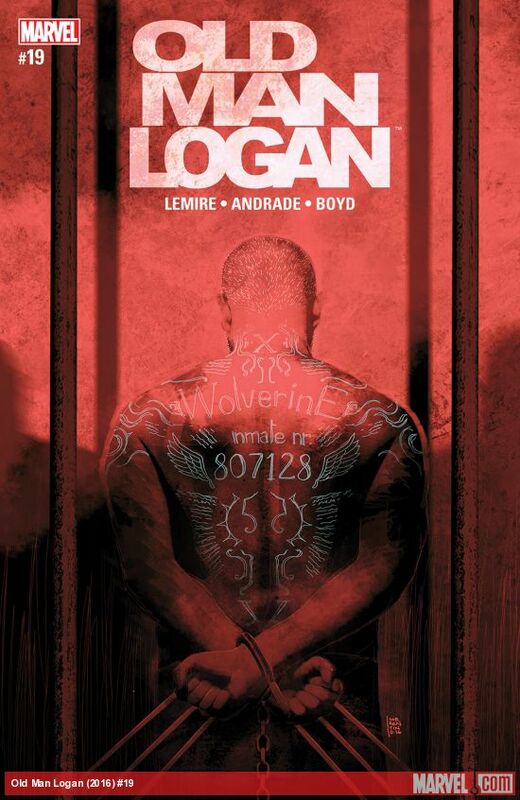 Logan is breaking into a super prison attempting to free someone that is kept on the "Black Level", a part of the prison where the baddies that are associated with the supernatural and the occult. It seems that, despite all of the death and loss that occurred in the wastelands, feels that he owes it to Hulk's child to return and ensure his safety. After trying a collection of individuals who might be able to help him, he has nowhere else to turn. I have a bad feeling about this. 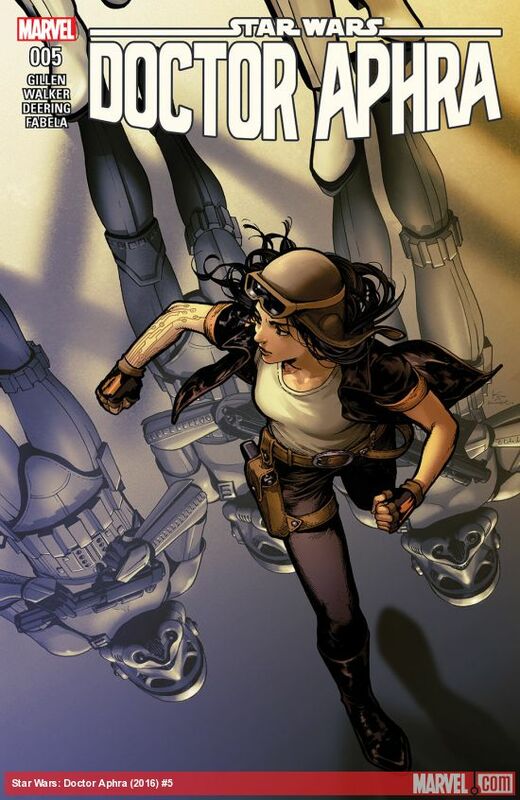 Doctor Aphra #5 - In what remains my favorite of the current Star Wars spin-offs, Aphra and her dad have reached the citadel of the Ordu Aspectu, an ancient Jedi order of a very mysterious nature. Unfortunately they are followed, and must overcome the mysteries of the citadel in addition to Imperial forces in an attempt to reach the core and the Immortal Rur. What I really like about this series is that it has a very Indiana Jones and Tomb Raider feel to it, but with all of the excitement and lore that we associate with Star Wars. There is something satisfying about learning about the Ordu Aspectu through the lens of an archaeologist. I cannot recommend this series enough. 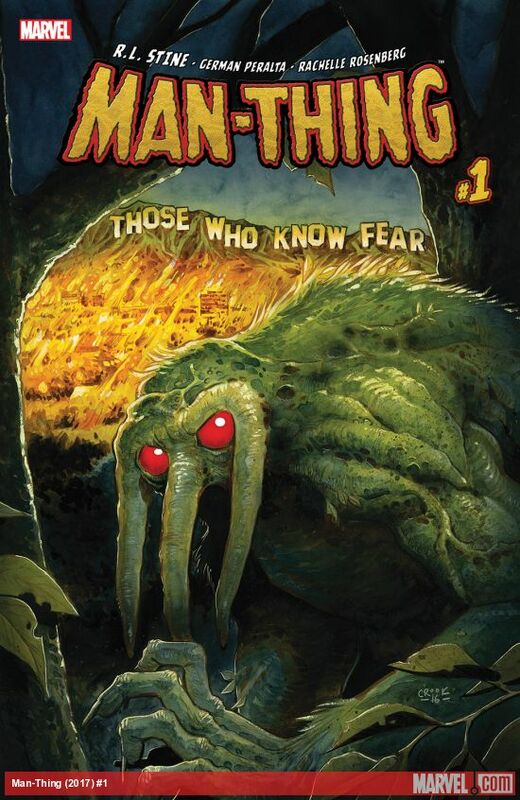 Man-Thing #1 - When I heard that R.L. Stine was going to pen a series for Marvel, I was quite curious to check it out. While I was never a big Stine reader, my son has absolutely poured through his Goosebumps series and I was hoping that this might be a series we enjoy together. After reading the first issue, I am not sure it is age appropriate for him or a series that I will continue to read. I plan on giving the second issue a whirl and Stine spent a decent amount of time setting up the origin of Man-Thing. I am not sold of the premise of Man-Thing trying to make a career in the moving pictures, I will give Stine the benefit of the doubt and see how things develop.